A perfect summer weekend brunch includes friends, mimosas, and delectable pastries - YUM! We'll have seconds, ok probably thirds, on a berry-filled crepe...which brings up something we need to discuss. Crepe, in dress form, also hits all the spots! What's Crepe you ask? A slightly thicker fabric with a bit more stretch and hold to it than your standard, flowy fabric. It's the love child of Chiffon and Taffeta. 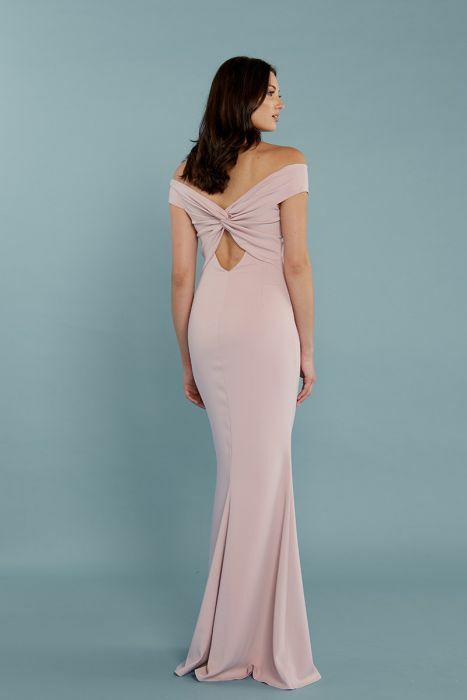 Whether your wedding gown is ornate or modernly minimal, Crepe bridesmaid and groomswoman dresses are a lip-smacking combination. 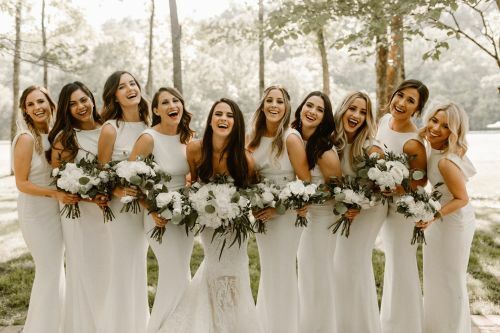 #BellaNashville Bride, Abby, with bridesmaids in Katie May Vionnet. Vic Bonvicini Photography. From OGs, like Dessy, to new-kids-on-the-block, like Katie May, we've got chic Crepe styles galore. Known for its stretchy crepe fabric, Stretch Pebble Crepe, Katie May has styles that are finger-licking good. Think: Low backs and hip-hugging silhouettes! For a palette cleanser, Dessy's crisp Crepe dresses have refreshingly clean lines and structure. Style 6758 by After Six. The Crepe De Chine dresses by Jenny Yoo are so lustrously soft they could almost melt in your mouth! For sultry summer nights, Monique Lhuillier's Stretch Crepe is available in tea length. Bon appétit! Style 450474 by Monique Lhuillier.